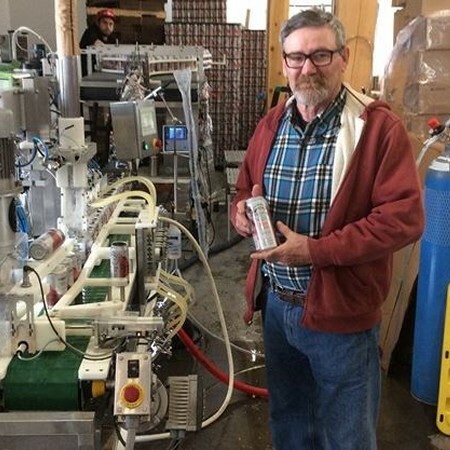 COBDEN, ON – Inside Ottawa Valley reports that Whitewater Brewing has partnered with the Royal Canadian Legion on a new beer that honours and supports Canada’s veterans. Legion Lager is being launched at Legion branches throughout Ontario, with LCBO and Beer Store releases also planned. Cobden Branch 550 president Gene Phillion (pictured above) was on hand for the first canning of Legion Lager at Whitewater’s Cobden brewery. It will be available at Legion branches in May, with retail release to follow soon afterwards.